I have been sewing my little guy up a bunch of pajamas for summer because somehow no size 2/3 summer pajamas seem to have been saved from the big kid. I don't know how that happened, since I saved nearly everything else. Anyway, I also have a lot of cute flannel prints that I wanted to use up. The fabric specifically says on the selvage that it is not intended for children's sleepwear, but I decided to use them for pajamas anyway. I think the reason for the warning is that you are not supposed to make loose-fitting cotton items for children to sleep in because they can catch fire and burn more easily if exposed to a flame. My children, however, do not play around open flames so I think the risk is a small one. 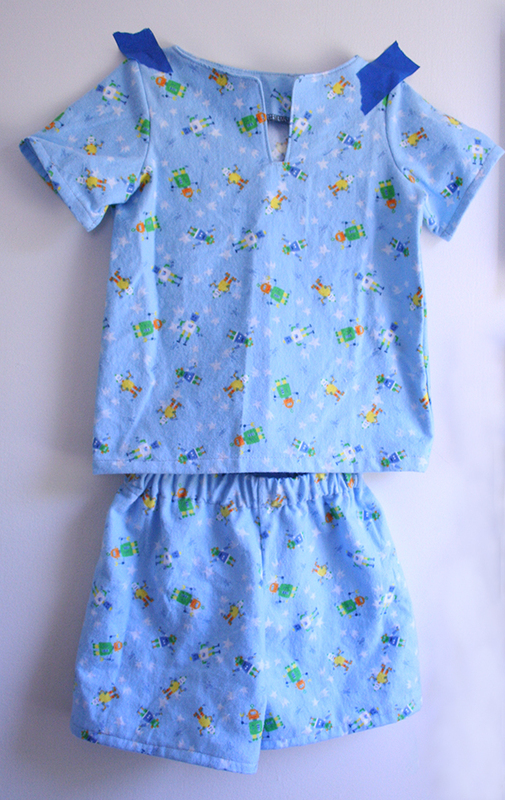 I used the Seaside Summer Top pattern from GYCT Designs for the pajama tops and the Goodnight, Sweetheart pj pants from Sewing for Boys (affiliate link). 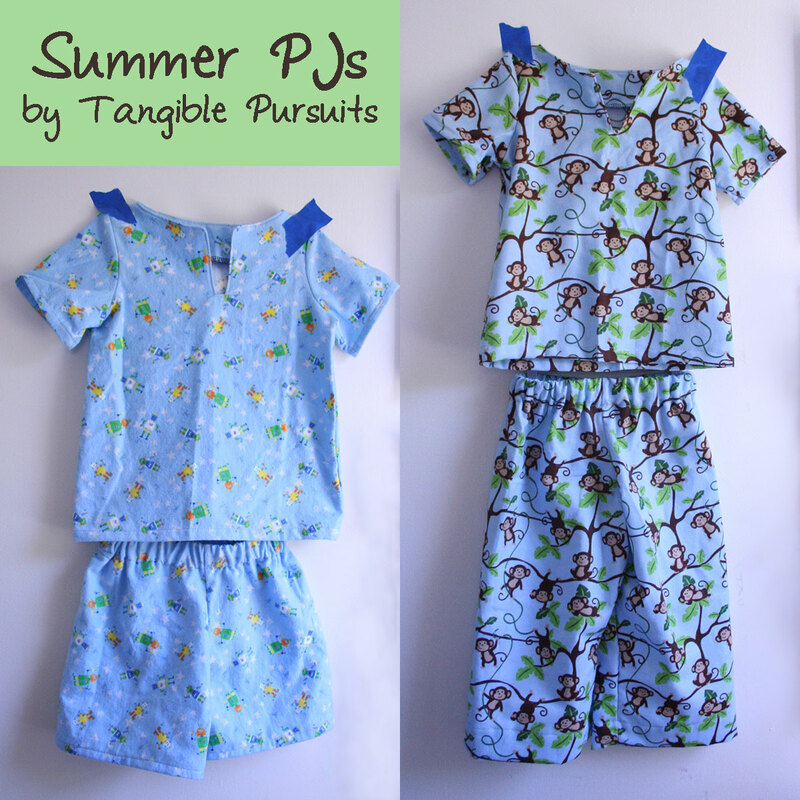 Both are a quick sew and make a cool comfortable pajama for summer nights. I made one pair with short bottoms in this cool robot print. 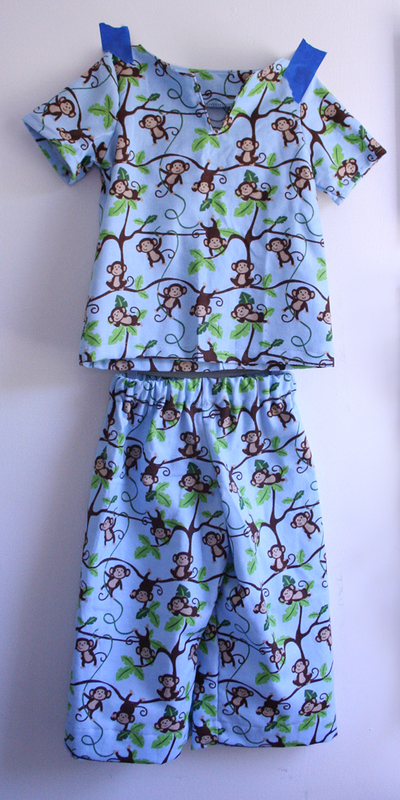 For the second pair I used this fun monkey print and made long pants. Great PJs!! I really need to make some for my girls. 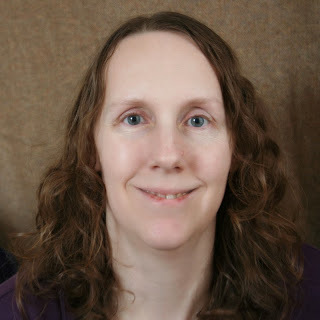 Thanks for linking up with Tuesday Sews at PiePie Designs!! Emily they turned out super cute! A really fun way to use the Seaside Top. Thanks for sharing! thanks Chelsea! It is a fun pattern! Those are great prints and the patterns you chose are a great fit for pj's. Thanks for linking up with Embellish is for BOYS!